You are tearing up right now while reading this sentence. No, it’s probably not because our blogs are so touching. Rather, your eyes rely on tears 24/7 for lubrication and comfort, providing a protective layer that helps to keep out dirt and other harmful contaminants. Most people are unaware of this automatic process until it fails, resulting in dry, irritated eyes that can severely impact your quality of life. Instead of dealing with the discomfort, you can find assistance from a local eye doctor in diagnosing the problem and offering effective treatments. Signature Optometry is here to serve as your go-to optometrist in Fresno, delivering quality care backed by years of experience. We’re dedicated to optimizing your visual health for a lifetime of enjoyment, from annual exams to same-day emergency eye care. No matter what your needs are, we’re here to serve as your reliable eye doctor in Fresno. Our dry eye clinic is here to provide superior treatments to restore your vision. As one of the only LipiFlow clinics in the area, we are able to supply you with the best medical technology available. Dry Eye is a common problem that can create serious disruptions in your daily routine. It is estimated that nearly half of the adults in our country today deal with dry eye symptoms on a regular basis. Today, we’ll begin to highlight the symptoms and causes of dry eyes to help you if you are dealing with red, dry eyes. If any of these symptoms match your own, be sure to reach out to our eye therapy clinic for an appointment today! As we mentioned before, your eyes are constantly producing tears for consistent comfort and protection. If the glands around your eye fail to produce an adequate amount of tears or the correct mixture, issues can start to develop that can negatively impact your life. Tears consist of a complex blend of different substances that all work in tandem to refresh your eyes and keep them hydrated. The type of tear that falls from your eye can determine its chemical composition. A study conducted in Israel found that emotional tears are comprised of complex protein-based hormones, including leucine enkephalin and prolactin. These hormonal tears can affect yourself as well as others, as emotional crying is thought to be done to make the cryer feel better. While Dry Eye is characterized as having eyes that are dry and irritated, there is a symptom that numerous patients suffer from called reflex tearing. This process is nearly parallel to when an outside contaminant gets into your eye, such as a stray hair or a grain of sand. 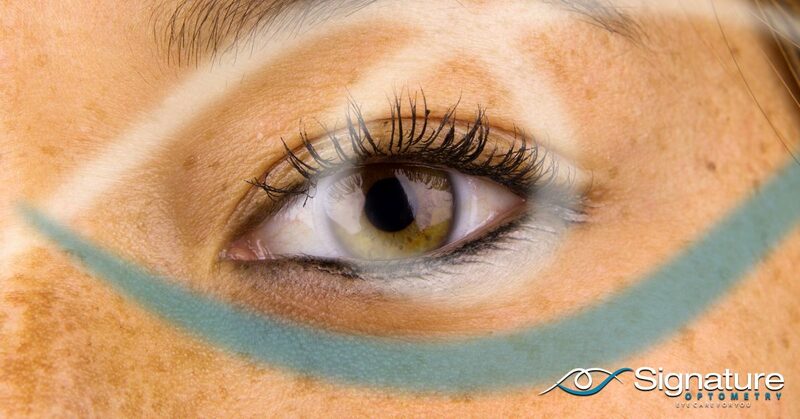 Your eye will produce an excess amount of moisture to flush out the irritation or to make up for the excess dryness. Unfortunately, this nervous system response is meant only for cleaning and not lubrication, and your eye will remain dry afterward. While Dry Eye is known to cause few long-term problems for people afflicted with this problem, chronic symptoms can set the stage for future problems. Inflammation, for example, is your body’s response to an outside agent. When the body is inflamed, white blood cells will be directed to the site to fight off invasive problems, increasing the blood flow. While helpful for short-term protection, extensive inflammation has been known to create serious health concerns. If you have been dealing with prolonged Dry Eye symptoms, it’s important to speak with your eye doctor to determine the problem and prescribe an effective solution. Living with dry eyes can hamper the comfort and enjoyability of your life, but you don’t have to put up with the discomfort. Signature Optometry is here to serve as your trusted optometrist in Fresno, delivering the best services to keep your visual health as optimal as possible for a lifetime of quality. Our LipiFlow clinic provides the best approach for negating dry eye symptoms and delivering long-term results for patients in need. Next time, we’ll continue this blog by highlighting the most common symptoms of Dry Eye as well as the value that our dry eye clinic can deliver to California residents. Contact us today to learn more about our optical boutique or to reserve your appointment!